I took this yesterday as the sun was setting. 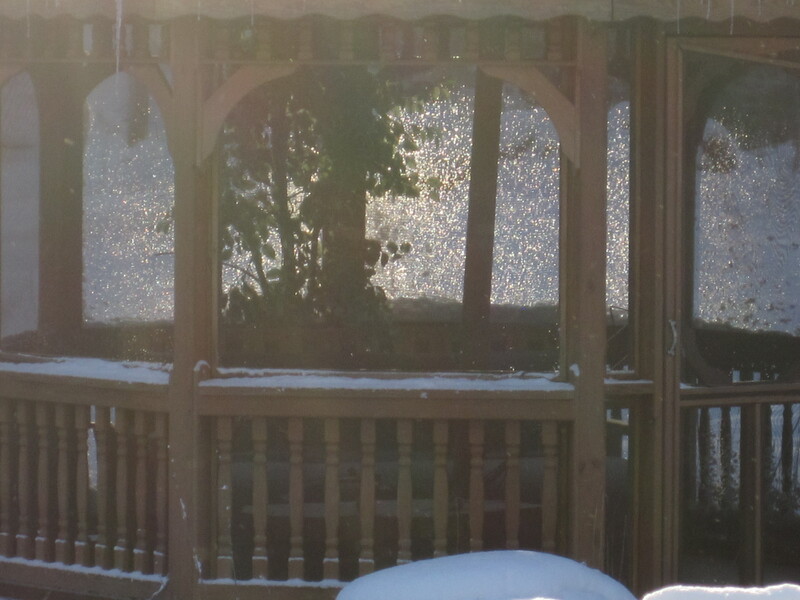 I was trying to catch its reflection on the ice pellets stuck to the screen in my gazebo. Thanks….the picture really didn’t do it justice. It looked real nice when I zoomed in on it.